Peter Jan Sartorio's lawyers said in court documents filed Wednesday that the packaged food entrepreneur from Menlo Park will plead guilty. 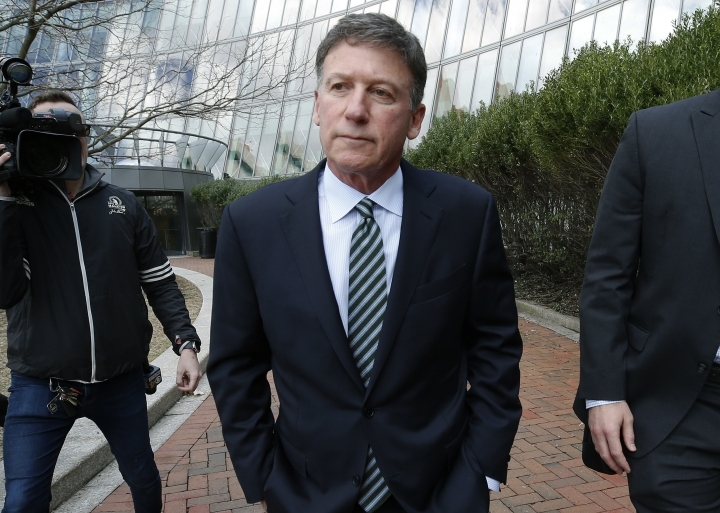 Sartorio was accused of paying an admissions consultant $15,000 in cash to have someone correct his daughter's answers on a college entrance exam. The exact charges to which he has agreed to plead guilty were not clear. Sartorio and the other parents were charged with conspiracy to commit mail fraud and honest services mail fraud. An email was sent to Sartorio's lawyers seeking comment. The announcement came just before Sartorio was scheduled to appear alongside other prominent parents in Boston's federal court. Among those who made their initial appearances Wednesday were actresses Felicity Huffman and Lori Loughlin (LAWK'-lin), and Loughlin's husband Mossimo Giannulli. 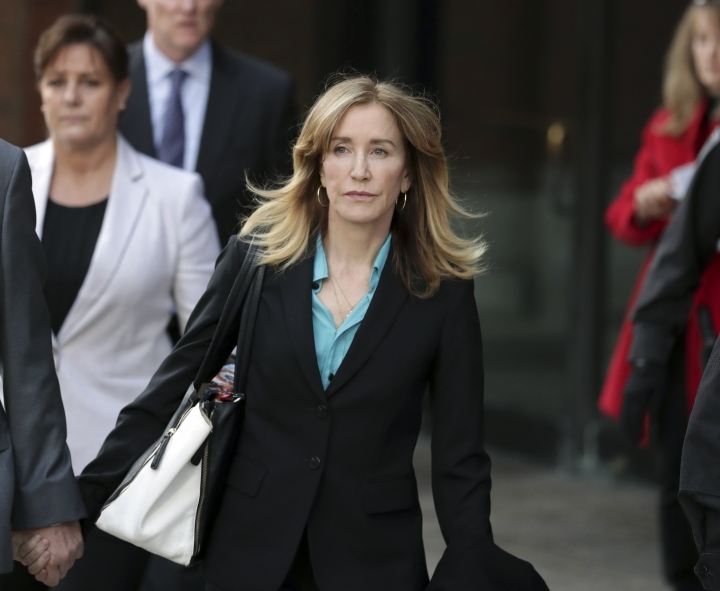 Actress Felicity Huffman has made her initial appearance in Boston's federal court in a nationwide college admissions cheating scandal. The "Desperate Housewives" star is accused of paying $15,000 disguised as a charitable donation to rig her daughter's SAT score. She was arrested last month along with fellow actress Lori Loughlin, Loughlin's fashion designer husband, Mossimo Giannulli, and other prominent parents and college coaches. Actress Lori Loughlin (LAWK'-lin) and her fashion designer husband, Mossimo Giannulli, appeared in court on allegations they paid bribes to get their daughters into the University of Southern California. 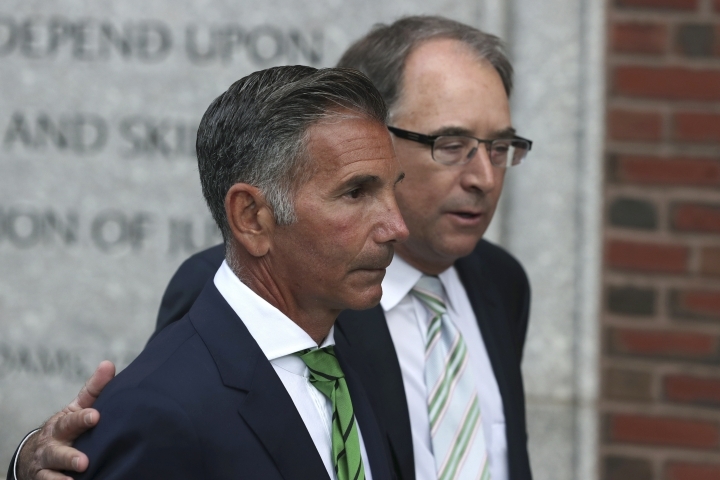 Loughlin and Giannulli sat next to each other with their lawyers as the judge asked them if they understood their rights Wednesday in Boston's federal court. Actress Lori Loughlin (LAWK'-lin) has arrived at a federal courthouse to face charges in the college admissions cheating scam. Actress Felicity Huffman has arrived at a federal courthouse to face allegations she paid a college admissions consultant $15,000 to rig her daughter's SAT score. The "Desperate Housewives" star walked into Boston's federal court late Wednesday morning, hours before she was set to appear before a judge. Other parents expected to appear in court Wednesday include fellow actress Lori Loughlin and Loughlin's fashion designer husband, Mossimo Giannulli. Actresses Lori Loughlin (LAWK'-lin) and Felicity Huffman are expected in court to face charges that they participated in a wide-ranging college admissions cheating scam. The actresses and other parents are scheduled make their initial appearances Wednesday in Boston's federal court. Loughlin's fashion designer husband Mossimo Giannulli is also expected to appear.